This 85 place Child Care build will be the second centre for the AMAZE early education group. A 820m2 Child Care Centre on approximately 4500m2 of land with 35 car parks will be completed to a turn-key finish. 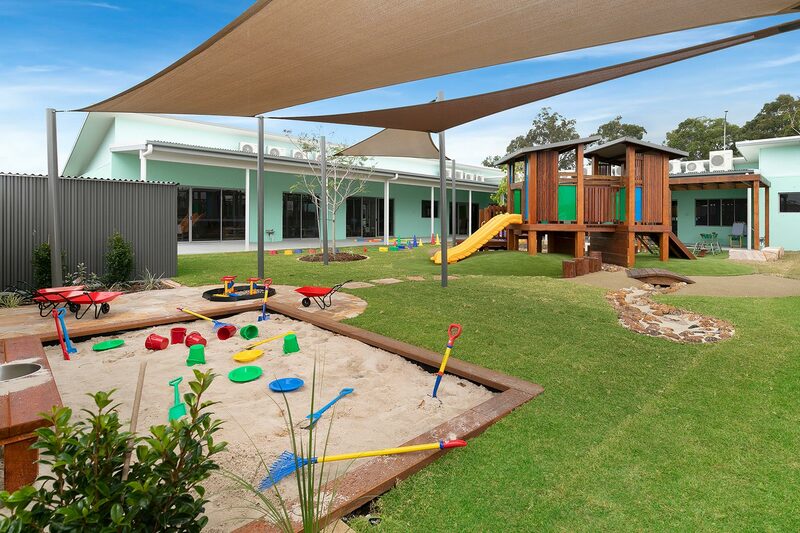 Complete with rendered retaining walls, underground detention tanks, bio retention, play forts, natural environment, landscaping, play equipment, softfall and natural turf. Commencing July, this centre was completed ready to open in January 2018.